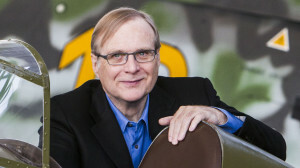 Barcelona (ACN).- Paul Allen, who founded Microsoft together with Bill Gates, has invested $40 million (equivalent to some €30 million) in the Barcelona-based Scytl, which is present in 35 countries and is one of the world leaders in e-voting. Through his investment fund Vulcan Capital – part of Vulcan Inc. – Allen will join Scytl’s shareholders, who also include Balderton Capital, Nauta Capital and Spinnaker Invest. Vulcan Capital’s Manager Abhishek Agrawal will join the Catalan company’s Board, which is led by Pere Vallès as Scytl’s CEO. Agrawal praised the Barcelona-based company’s “key role” in upgrading electoral processes in cooperation with governments throughout the world. In fact, in the last 10 years, the Catalan company has carried out e-voting commissions in the US, Canada, Mexico, Ecuador, France, Norway, Switzerland, Bosnia, India, Iceland and Australia. Since 2006 Scytl has made profits and its turnover has grown by 70% each year. The company is particularly strong in creating cryptology solutions and electoral management software which guarantee secure electronic voting processes. Scytl is attracting capital before its mid-term objective: being listed on the stock exchange. International investors have been focusing on the Catalan economy in the last few months, as the financial crisis seems to be left behind and recovery is starting to provide its first tangible signs through positive indicators such as lower unemployment figures. Besides several industrial projects and real estate investments, international funds and tycoons are also placing some of their money in strengthening the capital of some Catalan companies, especially those which are particularly innovative, open to the world market and in good financial shape. 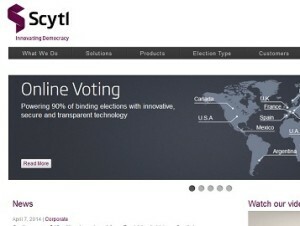 This is the case with Barcelona-based Scytl, which was founded in 2001 by Dr. Andreu Riera as a spin-off of a Universitat Autònoma of Barcelona (UAB) project in cryptology applied to electronic voting. Dr. Riera passed away in 2006 and the company is now led by Pere Vallès, which is Scytl’s CEO.Vulcan Capital is investing $40 million in Scytl, equivalent to some €30 million. The Manager of Paul Allen’s company, Abhishek Agrawal, will join Scytl’s Board. Agrawal emphasised that the Barcelona-based corporation has played “a key role” cooperating with governments throughout the world in developing secure electronic voting processes. In fact, the Catalan company has become a world leader in this field, transforming the electoral industry and the software controlling the process, from electoral planning to vote counting on election nights. Agrawal stated that the e-voting sector will go through “a massive transformation in the coming years”. Pere Vallès welcomed Paul Allen’s investment through a press release, emphasising Scytl’s “credibility” and “experience”. “As a leading company in modernising the electoral space, we have a responsibility towards our clients to continue providing them with technology, innovation and excellence”, he stated.